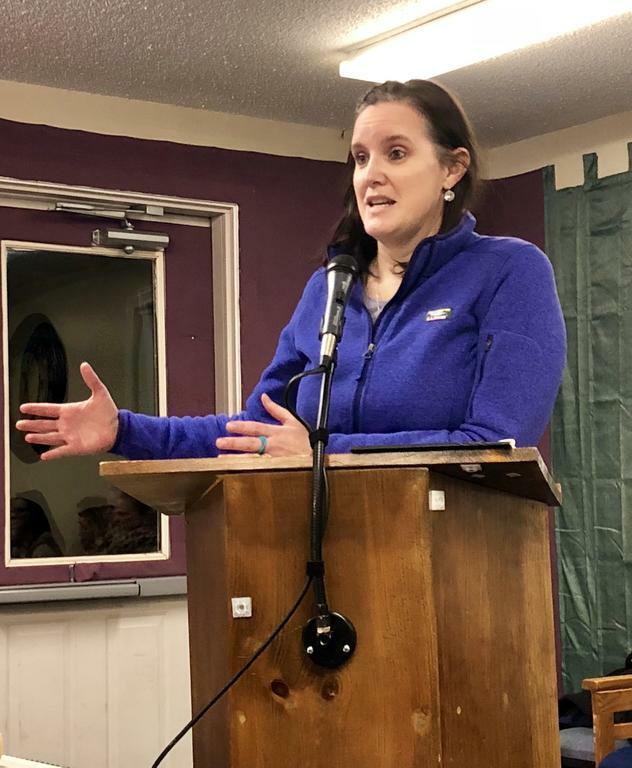 The meeting Jan. 10 was arranged so that the committee could gather public input and hear residents’ concerns about the withdrawal process, according to committee member Teresa Sadak. But many of the roughly 20 attendees at the meeting were upset and confused about why Raymond is even exploring leaving the district. “Why is this happening? Where is this coming from? I just don’t feel like I understand the why. I don’t understand where this is coming from or what motivated it or why we’re having this conversation,” said Jessica Madsen. Raymond residents voted 171-128 Aug. 14 to begin the process of withdrawing from RSU 14. Among reasons cited for the effort are district costs, a belief that RSU 14 is not living up to a cost-sharing agreement and a sense that school officials are unwilling to discuss these concerns. Some disliked that the vote occurred in the summer and said it was not publicized enough. “The vote for this was held on a Tuesday night in the summer when a lot of people didn’t even know about it. That doesn’t involve the community. That was kind of a hidden agenda item,” said Heather Martin. Some members of the audience felt that the decision to possibly withdraw was financially motivated, rather than being focused on what is best for students, and could negatively impact the quality of education. “People are saying it’s not about the money. But it is about the money. They feel like Raymond is paying a lot of Windham’s budget. And then you say it’s all about the kids. But you haven’t given us any numbers to prove that,” said Susan Brackett, a fourth grade teacher at Raymond Elementary School. Committee member Kate Leveille, who is also an RSU 14 board member, spoke as a resident at one point. “As the one person on the committee who has a child in the school, I’m very happy with the way things are. I think we have a very good system and a very good school. What I want is what we have. You say it’s for the kids. Well, if it’s for the kids, then why are we changing it?” she said. Some attendees supported Raymond leaving the district. “It’s really hard to put a price on autonomy, which I very much value. The two towns, I really believe, are fundamentally different places. It just feels like each town should be running their own schools,” said Walter Lunt. Raymond ran its own school district prior to 2008, when it was forced to join with Windham in a statewide effort to consolidate districts. Committee member Joe Bruno urged the audience to be open-minded. “Why is it so hard to actually explore the possibility? That’s all we’re doing right now. There’s no determination of where we’re going yet. Raymond did it before without Windham’s involvement. We can do it again if we set our mind to it,” he said. Attendees expressed their desire for more concrete information and data about the cost associated with withdrawing, which the committee does not yet have. “Curriculum coordinator, literacy coaches, math coaches, Title 1, OT, PT, special education director, all of that. All of the things we have right now, if we’re going to do this, show me how we can do it with the money that we have,” Madsen said. Sadak, who spearheaded a similar, unsuccessful effort to withdraw from the district in 2015, reassured attendees that the committee is taking the process slow and wants to gather as much public input as possible. The withdrawal process, as outlined in state statute, has 22 steps. “This is just one small step in the dark that we’re taking here. We may say at the end, this is not for us,” she said. In an interview Jan. 16, Sadak said she thought the meeting was “really good” and demonstrated to the committee the need to disseminate more information more effectively. “People were given not all the information. There are a lot of people that aren’t aware of where this comes from and the whole process of it,” she said. 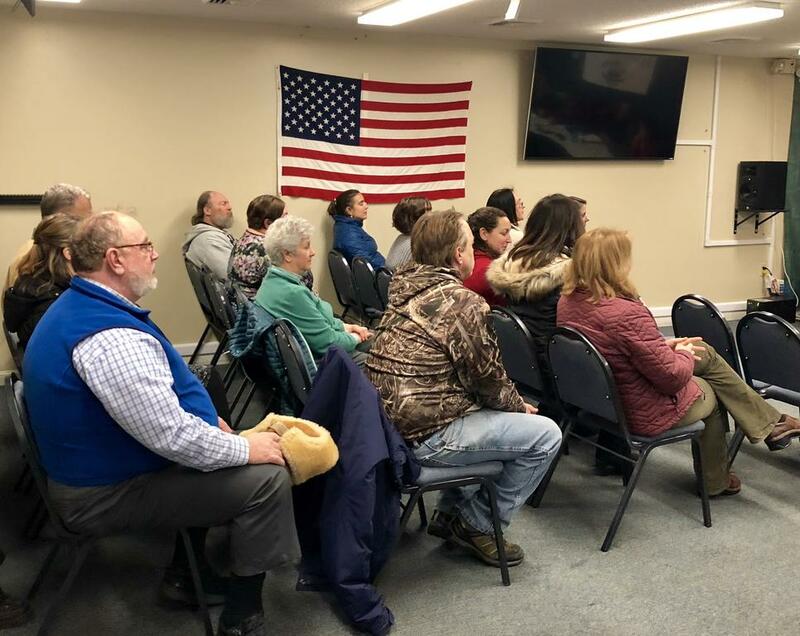 She said the committee will work on sharing more information through the town listserve and Facebook page and will hold similar public forums in the future. Jessica Madsen voiced her concern about Raymond’s possible withdrawal from RSU 14. All seats were full at the RSU 14 Withdrawal Committee’s public forum.